In the transition to a low-carbon economy, there is a constant search for energy that is not produced from fossil fuels. Australia’s renewable sector contributes roughly 17% of total electricity generation, 9.7% of which is produced by bioenergy. Biofuels also represents around 1% of Australia’s petrol and diesel production. It is well recognised that biofuels will play an extremely important part in any low carbon, low emission plan for Australia’s future and there have been some noteworthy initiatives to promote and support this, including the Queensland biofuel mandate, the Energy Grants Scheme, Queensland’s Resource Recovery Industry Development Program, and Victoria’s Advanced Organics Processing Technology Grants program. While the bioenergy and waste-to-energy sector within Australia is transitioning rapidly towards providing a solution to materials that have not historically been recycled, it’s starting to reveal significant gaps in Commonwealth legislation and policies, particularly with respect to defining waste-to-energy streams and how biodiesel is dealt with under the Excise Tariff Act 1921. Under The Schedule, diesel produced from non-renewable resources has a current excise rate of a little over $0.40 per litre, while biodiesel has a rate of duty of only 10% of this amount. Biodiesel is defined as a fuel that is, in simple terms, derived from animal or vegetable fats or oils. However, many diesel fuels manufactured from other resources, including those defined as waste materials, fall outside of this definition. While acknowledging that renewable diesel can be sourced not only from the hydrogenation of animal fats or vegetable oils, anything that is produced from materials outside of the original definition is still termed diesel and the full rate of duty is payable, irrespective if it has been derived from other feedstocks as outlined above. Although it is recognised that the duty payable on biodiesel and renewable diesel was offset briefly through the Energy Grants (Cleaner Fuels) Scheme, which closed in July 2015, for companies now looking to invest in new waste-to-energy technologies and facilities, there is currently little to no regulatory framework to support them to produce renewable diesel fuel. This ambiguity could be seen to be constraining Australia’s sustainable energy future with the current legislation reducing the ability to grow this sector, and as such inhibiting the ability for the industry to reach the economies of scale required to deliver cheaper low carbon fuels, and in particular those derived from waste materials that may not be recyclable. Based on estimates from the Clean Energy Council and the Clean Energy Finance Corporation there is a potential investment opportunity of between $3.5 billion and $5 billion until 2020 in energy from urban waste, agricultural waste and forest residues. Waste-to-energy provides an innovative and multifaceted solution. Not only does it alleviate the environmental pressure on landfills, it also reduces fossil fuel consumption and carbon emissions. The Queensland Biofutures 10 Year Roadmap and Action Plan recognises the need to improve the excise rate of biofuels. Biofutures broadly refers to the sector focusing on “the development and manufacturing of products from sustainable organic and/or waste resources.” It is defined as a priority industry for Queensland, predicted to contribute $1.8 billion to the annual Gross State Product and support 6,640 full-time jobs in the state. The roadmap acknowledges the limited funding and poor excise and taxation treatment especially compared to successful global biotechnology sectors where there are strong subsidies. It is clear that Australia is faced with regulatory framework which has not matched the accelerated pace of development in the combined energy and waste sector. Redefining the legislation to reconsider the definition of biodiesel to include waste as a resource and other alternative manufacturing processes for biodiesel production will assist in ensuring waste-to-energy technologies are given the necessary relief to ensure a sustainable future for renewable fuels. This article was authored by Madelaine Waters, Environmental Consultant at Equilibrium. The Victorian Government is releasing new environmental regulations earlier than expected. The new environmental regulations will form a key pillar for increased EPA enforcement powers and tougher penalties, particularly when it comes to environmental risk prevention. In short, the new regulations will provide the EPA with expanded powers to regulate businesses to reduce the risk of environmental harm and pollution. The earlier than expected release means that businesses should become familiar with the new legislation and likely compliance issues. The EPA has noted some specific sectors for attention under the new regulations, including those involving high-risk activities such as chemical manufacturing, food and beverage processing, waste management, recycling, plastic fabrication moulders, organics processing and agriculture. A recent report in Footprint News said Victoria’s ‘consolidated environmental regulations to support Victoria’s new environment law will be released for comment in July’. The process for consultation has yet to be detailed, however, according to Footprint News, it is expected that specially arranged consultations with current EPA licence holders will be conducted. These businesses can expect some change, particularly with licence reviews, potentially requiring the development of new systems and processes to ensure ongoing compliance. Businesses that do not currently operate under an EPA licence should also look closely at the potential impacts of the new laws, and where possible take early action. 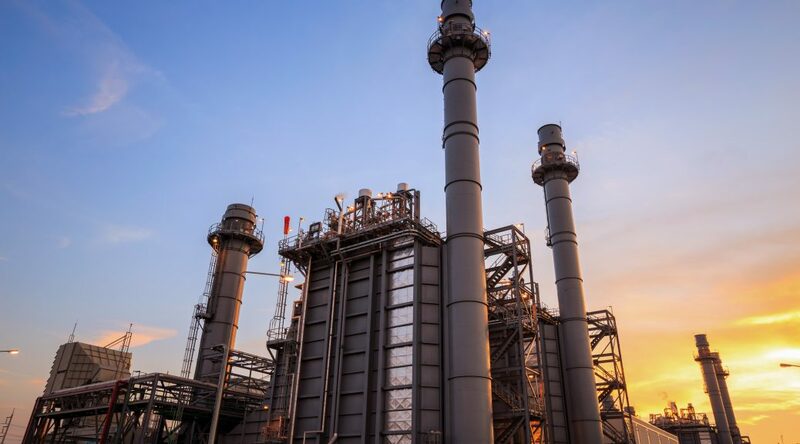 This would include ensuring a full understanding of environmental risks, and factor-in sufficient time to budget for any operational changes that may be needed. As the regulations are introduced, businesses that operate potentially high-risk activities are likely to see an increased level of interest from the EPA. High-risk activities include materials recycling, waste handling, chemical storage, and other activities that may generate hazardous emissions or odours. In essence, these types of activities are inherent to a range of different industries such as chemical manufacturing, food and beverage processing, plastic fabrication, waste management, recycling, organics processors, and agriculture. Other activities underway within the EPA includes the development of guidance materials designed to assist businesses to comply with new environmental laws. An example of which includes the Guideline for Management and Storage of Combustible Recyclable and Waste Materials, released in October 2018. The process for environmental law reform began in 2016 when the Victorian Government conducted a public inquiry into the function of the EPA, which drew particular attention from both business and community into the EPA’s role in preventing environmental harm. This review led to an overhaul of environmental legislation in Victoria and the amended Environmental Protection Act, which is due to commence on 1 July 2020. The EPA is holding information sessions for business and community wanting to learn more about the new environmental laws, and the potential impacts. It’s coming up to 12 months since the Gold Coast 2018 Commonwealth Games were delivered and many of the positive outcomes are still felt throughout the city. Three core sustainability themes identified for GC2018 were to source responsibly, manage impacts and inspire inclusion. Significant tangible benefits were delivered in regard to infrastructure improvements, world class venues, and an efficient public transport system. 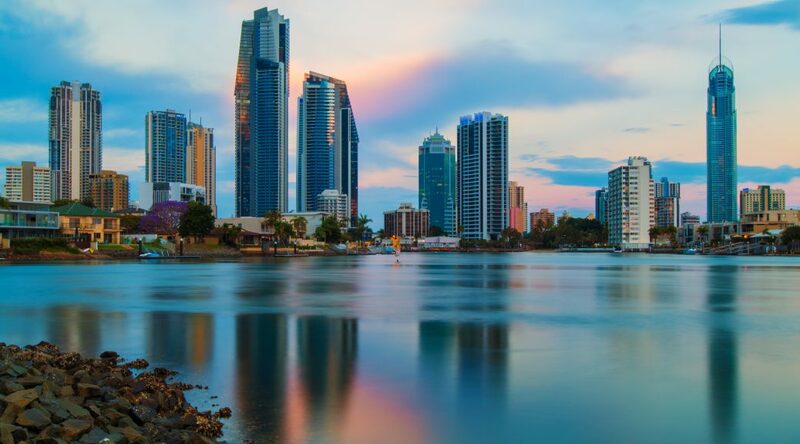 Moreover, many long lasting intangible benefits to the Gold Coast’s culture have come directly from the wide-reaching sustainability initiatives of the Games and are a crucial legacy associated with the event. Many key environmental outcomes aiming to ‘manage impacts’ inspired positive sustainable behaviours. The Commonwealth Games Corporation’s (GOLDOC) initiative to reduce single use, short term plastic items, resulted in no helium balloons, no lightweight plastic bags and no plastic straws provided at any of the Games venues. The ChooseTap campaign saw 14 permanent hydration stations installed across the city, saving approximately 1,780,497 plastic bottles from being consumed. These outcomes are noteworthy. A key aspect of this initiative and the ‘source responsibly’ theme was sustainable procurement. 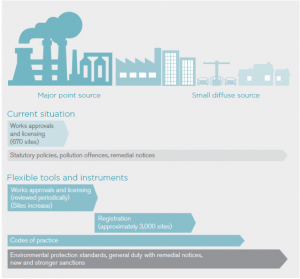 After an initial hot-spot analysis, GOLDOC developed a Sustainable Sourcing Code to ensure all suppliers met minimum requirements in terms of social and environmental impacts. For stand-alone high-risk procurements, a Sustainability Category Management Plan was completed, further highlighting the commitment to sustainable procurement and also providing a knowledge transfer legacy. 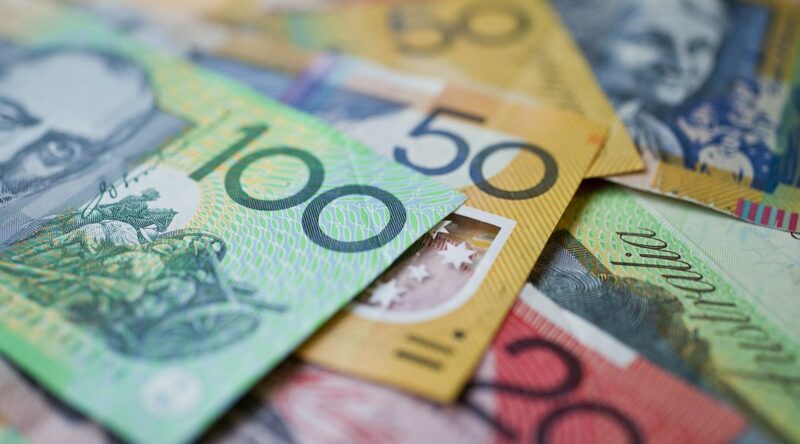 Local and indigenous procurement options were chosen where possible, with 75% of supply agreements from the Gold Coast and over 95% from Australia and New Zealand. Figures for Indigenous supplier contracts by value exceeded 166% of the initial target rate, with 168 contracts. This commitment to local and indigenous suppliers greatly supported positive legacies for the region. The third sustainable theme to ‘inspire inclusion’ truly helped to transform the culture of the Gold Coast. GC2018 was the first of its kind to have a Reconciliation Plan and the commitment to celebrating indigenous heritage was clear from the launch of the Queen’s Baton at Buckingham Palace, where the Queen was accompanied by Yugambeh Elders Ted Williams and Patricia O’Connor. The same elders accompanied Prince Charles and the Duchess of Cambridge to the stage in the Opening Ceremony. In fact, the opening ceremony was full of traditional theatre, dance, music and visual arts. The celebrations throughout the Games included numerous indigenous flavours showcased on the menu in the Village Main Dining Hall, indigenous art patterns on the Borobi Mascot design and the Parade of Nations track. The Festival 2018 Gold Coast program included a diversity of cultures, with fifty countries and all Commonwealth regions represented through music, performance and film. Gender equality was also a priority within the Festival and Games. GC2018 was the first Games in history with an equal number of medal events for women and men. GOLDOC participated in the Pride in Sport Index (PSI) in 2016 and 2017 to assess and inform their inclusivity of the LGBTIQ Community. Celebrations during GC2018 included the Festival’s Sparkle in the Sand which highlighted the Commonwealth countries where homosexuality is still a crime and Pride House, a welcoming space for LGBTI athletes, fans, visitors and allies. It housed LGBTI entertainment and exhibitions, and received over 5,000 visitors. Inclusion and accessibility of events included the installation of ramps and hoists within existing and temporary venues. The Sports Ears system was provided at the opening and closing ceremonies and at all venues with sports presentation commentary. Moreover, every venue had a space for Service Dogs and Spectator Services volunteers were appropriately trained. These initiatives are but a sample of the extensive work done by GOLDOC and the Sustainability Team to integrate social and environmental efforts into all aspects of the GC2018 games. The work of the team cultivated a strong focus on “inspiring positive, meaningful change in perceptions, attitudes and actions.” These intangible benefits have left a lasting legacy for tourism events in Queensland and truly demonstrate a leading model for sustainable event delivery on the Gold Coast and beyond. Equilibrium’s managing director, Nick Harford is presenting this week at the 2018 WasteSA Resource Recovery Conference in Adelaide. It’s an excellent event typically attended by key players who know the industry and what is required to move it forward. The current climate confronting the waste and resource recovery industry generates considerable discussion and speculation about preferred solutions, desired outcomes, essential infrastructure and/or policy reforms. Product stewardship – either voluntary or regulated – is often hooked into the dialogue, as a key tool for more efficient resource use, including the recovery and recycling of products and materials. And in many cases (but not all) this is an accurate assessment. Nick’s conference presentation will highlight that product stewardship is one tool among many when it comes to waste avoidance and resource recovery. The environment and sustainability toolbox contains many approaches that need to be mixed and matched depending on the specific problem or opportunity being addressed. Whether we are focussed on material substitution, eliminating restricted substances, extended product life or design for disassembly and remanufacturing, the need to carefully choose a solution or hybrid of tools, should be informed and with clear justification. In short, it is about understanding the issue, the desired outcome and the relevance of available approaches or tools. Fit for purpose thinking is essential when it comes to maximising efficiency and effectiveness with a view to delivering measurable benefit. The goal of a circular economy is being discussed across sectors, industries and communities. Much of it with substance and strong intent, but some of it superficial and simplistic. Most importantly, there is a recognition that new patterns of production and consumption are essential. This is especially relevant if we as an economy and community are to maximise resource productivity, minimise impacts and develop a new, more benign relationship with products and the materials they are made from. The need for effective policy reform is timely, as is the need for economy-wide attention. Rebranding waste and recycling initiatives as circular economy initiatives certainly fails to recognise the imperative. As a contribution towards delivering positive economic, social and environmental outcomes for the community that are ‘circular’ the NSW Government is developing relevant policies. Specifically, it has released a draft Circular Economy Policy as well as a Circular Economy Discussion Paper. The two documents provide a useful overview of the essential principles, including examples of how these can be applied to achieve the desired outcomes. Both the policy and the discussion paper are sensible starting points for informing and engaging interested stakeholders. Unlike European Union initiatives which identify actions holistically across industries and sectors, the NSW documents are chiefly framed through a waste management lens, which may be more doable over the short-term however at some point will need to address the structural transformation needed to achieve a truly circular economy. The discussion paper sets an inclusive tone and asks ‘what would a circular economy look like’ and invites ideas on how interested parties could get involved and what support they may require. Consultation on the draft Circular Economy Policy is open from 22 October to 25 November 2018. Submissions will inform the process and be used to finalise the policy. This will be followed by an implementation plan that sets out how the NSW Government will ‘work with business and local communities. Equilibrium is working with some of its clients and partners to prepare submissions over the coming weeks. We would welcome contact from any company, council or organisation wishing to discuss the process and their response to the discussion paper. Like many creative endeavours, environmental film making has a long history of storytelling through the lens. Few other mediums are able to capture the imagination of the public like the moving image. From documentaries which uncover ground-breaking ecological research, through to fictional movies that craft future scenarios of planetary destruction, environmental films can inform, educate, engage and activate individuals and communities alike. As a tool for change and creative expression, there are numerous examples of how films have been pivotal in exposing the good, the bad and the truly shocking. Ultimately ‘environmental films’ say much about how humans interact with place, be it in urban settings, the wilderness or highly modified agricultural landscapes. They can provide highly personalised accounts like the Erin Brockovich movie dealing with water pollution, or the ‘PowerPoint on steroids’ documentary featuring Al Gore’s ‘An Inconvenient Truth’. Closer to home, Waste Not by the Total Environment Centre and A Plastic Ocean by Tasmanian born journalist Craig Leeson ram home the local and global impacts of our consumption and disposal choices. There is an endless list of films dealing with the environment in all its forms. The extent to which such films have a positive impact on awareness and behaviour change depends on the specific film or movie, however in an age where videos and film are an integral part of a wider campaign using social media and political advocacy, the sum of the parts is what really achieves impact. The Environmental Film Festival Australia (EFFA) is a unique and wonderful program of films accessible to local audiences and exposes viewers to the power and potency of film and the environment. Films that acknowledge our environment whatever the outcomes, are an important part of the mix when it comes to informing and educating the public. Film-makers working with scientists, engineers, government, business and the community, provide a distinctive approach to achieving positive change and a sustainable future. As a Festival Friend Partner, Equilibrium is especially excited about EFFA 2018 and the films to be featured from 11 – 19 October. Visit the EFFA website for more information about this year’s program and tickets. Recent pressures on Australia’s waste industry and some local councils reveal thought-provoking views about the desired remedies and solutions. Some of them are well considered, commercially sound and informed; others seem opportunistic and motivated by self-interest. As part of the scramble for solutions, ambitions for achieving a circular economy are to be commended and pursued, but they must also demonstrate genuine attention to the core principles of what a circular economy is and provides. In Australia, many circular economy visions and claims seem rebranded ‘old-school’ recycling activities that are far from regenerative, restorative or closed loop. Putting recovered materials into road building is good but not really recycling or upcycling that maximises functional value or extends material life; more so it is a short step from otherwise landfilling such materials. Such pursuits also seem to typically co-opt product stewardship as a tenet of a circular economy, often going further and binding the two together. History, theory and reality tells us that product stewardship is about managing the life-cycle of products and this involves much more than materials or waste management. Product stewardship has grown out of chemical companies in particular safeguarding farmers and other end-users from the toxic or health threatening effects of certain chemicals and in particular herbicides and insecticides. Product stewardship is a tool that can involve diverse interventions at different stages of the life-cycle and across the spectrum of environmental issues and impacts not excluding occupational, health and safety, energy efficiency, safe operation, or design for repair, remanufacturing and refurbishment. Indeed, in many North American companies, product stewardship is often primarily focused on the safe management of chemicals and restricted substances across the product life-cycle. On the other hand, a circular economy is a desired outcome for managing products and materials in a more sustainable manner. It seeks to ensure that the production and consumption process values and rewards resource productivity. A circular economy is chiefly the result of materials movement and use allocating waste as an unwanted inefficiency, ipso facto transitioning from the take-make-waste-paradigm to circularity. 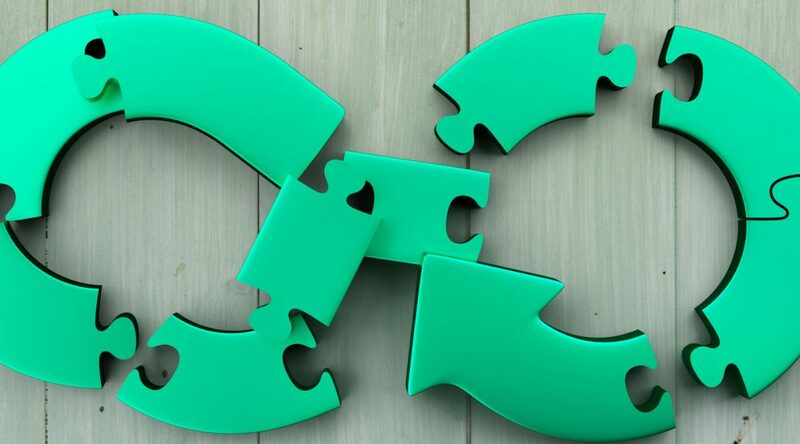 While there is complementarity as some elements of product stewardship can contribute to achieving a circular economy, they are distinct and separate concepts. Each one worthy and necessary, but not co-dependent, nor interchangeable. One is a tool or approach typically applied by producers and/or retailers; the other is a system-wide outcome involving more action by more players across the economy. Some claim the need for increased product stewardship regulation in order to cover the cost of market failures or sustain the business activities of waste management providers. Others believe that increased in-country processing of recyclables will resolve the export dilemma. Yet others are convinced that recycled content in packaging with associated labeling can save the day. There is even great enthusiasm for embedding a range of post-consumer materials in road building and construction, instead of embedding it in landfill. And we haven’t even touched on the role of waste to energy and whether it is compatible with circular economy principles. The reality is that we may need a mix of multiple responses depending on the specific issue or impact being addressed. A one-dimensional approach typically delivers questionable environmental benefit. For a more circular economy, mandated product stewardship mechanisms might be relevant and necessary in some cases, just as voluntary models might be most desirable in other instances. There will also be myriad other economy-wide measures required, as this has been clearly evidenced by the EU’s package of circular economy measures. The European Commission’s Circular Economy Action Plan gives us a sense of what is required in a practical policy and programs sense. It reflects system-wide, economy-wide interventions across sectors, industries and communities. It reflects a transformative approach across many players in government, industry, academia and the community. The Commission’s Action Plan also highlights the comprehensive nature of its measures and how they apply to existing policies, laws, directives, standards regulations, and codes. The current inclination to push product stewardship and circular economy as partners working towards better waste and recycling outcomes over-plays their purpose and capacity. It also under-estimates the detail of what’s required to achieve better product life cycles and a more circular economy. Of course there are great examples where product stewardship and circular economy principles work well together and achieve noteworthy results. Product stewardship is not prima facie about waste management and circular economy, and trying to make it so weakens its role and restricts solutions. For example, Australia led the way with newsprint recycling through the Publishers National Environment Bureau (PNEB), and a model that reflected both a strong stewardship approach and the core circular economy principles. Australian newspaper and magazine publishing companies worked collaboratively to develop a program that increased recovery and recycling rates of newsprint and did so through closed loop strategies that applied across the supply chain. This was done as paper recycling operated in a semi-circular economic fashion in its own right. While paper production on a national and global scale physically requires introduction of long fibres only achievable through virgin pulp, the paper industry nonetheless is largely circular based on the economic benefits and inherent value in recovered fibre. Another real-world exemplar of how stewardship and the circular economy work in tandem but are not co-dependent is the commercial furniture sector. Steelcase is an American company creating products and services for the workplace and is well known for design, manufacture… and refurbishment of workstations, ergonomic seating and other commercial furniture products. Steelcase developed their Phase 2 Program to handle high-volume furniture recovery and refurbishment activity, all of which is underpinned by a zero waste to landfill goal. It is a smartly designed initiative and seeks to maximise the useful life of office furniture by enabling a second life with other customers. There is a strong charitable and gifting focus but it is also highly commercial. They’ve worked out a model that is regenerative, restorative as well as closed-loop to a significant degree. The Steelcase gifting and charitable process has also been fine-tuned to work at a national level and with large volumes of product, thus it’s no cottage industry. In many respects it reflects the essence of product stewardship and includes a strong social and charitable dimension while also diverting thousands of workstations and chairs from landfill on an annual basis. Again, no regulation, producer-focused and a great example of how design for disassembly and refurbishment upstream in the product life-cycle can deliver social, environmental and economic benefit downstream. It’s more about circular asset management, good design and a company culture that values product durability and charitable objectives. In electronics for example, we see product stewardship exercised through asset management programs and reverse logistics operators whereby the consolidation, collection and transport are managed by third parties to manage the remarketing, reuse and redeployment of product. This example is widespread among the mobile phone, computer and business imaging industries with no need for traditional waste management service providers or materials recycling businesses. So what do these examples tell us about product stewardship and the circular economy and the relationship therein? Firstly, we need to acknowledge the difference between tools (product stewardship), and outcomes (circular economy), noting that product stewardship is not just about industry-funded post-consumer waste recycling programs, just as circular economy is more than just processing recyclables in-country. Commercial self-interest that is connected to any intervention, program or scheme needs to be called out. Simplistic claims for mandatory instruments should be approached with caution. The waste and recycling industries have a role to play in product stewardship schemes and pursuit of a more circular economy, they are important service providers and enablers for both. However, they are not central to both, but perhaps more vital in the circular economy than in product stewardship opportunities. They are only links in a chain. None of this is about being unrealistic or impractical; more so it is about confronting the evidence we know and hear daily, evidence that tells us that window-dressing, half-measures, and environmental spin, will not deliver the positive change we require in order to consume sustainably and operate successful companies, social enterprises and local councils. The restorative and regenerative principles inherent in a circular economy tell us that ‘value’ in all its forms must be maximised; that lowest cost is not always the lowest overall price when all environmental, economic and social factors are considered. It also tells us that waste disposal and down-cycling may sometimes the best of limited available options, but are still not circular. One of the challenges and risks for all stakeholders is to resist the temptation of mediocrity. 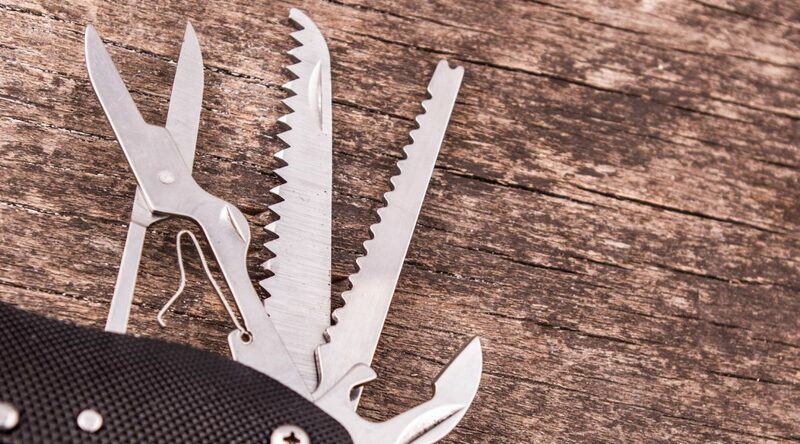 We need to guard against the broader value of tools like Product Stewardship and circular thinking being reduced to crude waste management tools. This article was authored by John Gertsakis – director, communications, and Nick Harford – managing director of Equilibrium. Originally published on 27 August 2018 in Inside Waste online. Not knowing where your waste is going can lead to reputational and regulatory risks. Equilibrium explains how its networks are helping the waste industry keep track of the downstream supply chain. In 2011-12 Australia exported 4.4 million tonnes of waste valued at $2.4 million or 0.8 per cent of Australia’s total exports, according to the Australian Bureau of Statistics. During that year the value of Australia’s waste exports tripled to $696 million, when compared to 2000-1 levels. While recent national figures are in short supply, the National Waste Report 2016 shows 26 per cent of Victoria’s recyclables was exported overseas in 2014-15, indicating exports still remains a key part of Australia’s waste management strategy. Keeping track of where this waste ends up can be a challenge, much less ascertaining whether the materials were subject to environmentally sound management. “A scheme for ensuring that wastes and used and scrap materials are managed in a manner that will save natural resources and protect human health and the environment against adverse effects that may result from such wastes and materials”. According to Nicholas Harford, Managing Director of Equilibrium, without transparency in the downstream supply chain, recyclers leave themselves exposed to reputational and regulatory risks. The core issue is: if you’re collecting and on-selling or shipping material for recycling, do you know how it is it being recycled? Equilibrium’s information sheet on downstream assurance services provides further detail on the process. “Reputational risk occurs when a material that you have collected and said will be recycled is inappropriately or illegally disposed of. 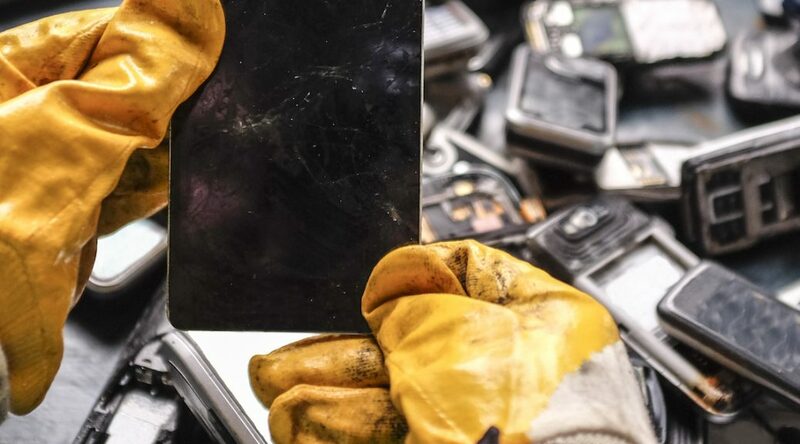 In the waste industry, we are all familiar with concerns about e-waste going to third world or developing nations where it’s inappropriately handled, sometimes burnt with no pollution control and at great risk to human health,” Nicholas says. Nicholas explains the regulatory risk occurs through the unlawful control of hazardous material exports, and whether the end use has the correct regulatory licence or permit to operate within the country and ensure control of emissions in line with best practice. He says it is particularly important to know where materials are going for waste streams such as e-waste and tyres. Some kerbside recyclables may also require an export or transport licence, he adds. Nicholas says tyres may have an overlay of being potentially hazardous materials. According to the Commonwealth Hazardous Waste Act, a permit must be obtained before hazardous waste can be exported out of Australia. A basic requirement of the Act is that waste shipments may only take place between countries which are parties to the Basel Convention, except where a specific formal arrangement exists. The Australian Government has banned exports of waste for final disposal except in exceptional circumstances, therefore not knowing whether your waste is being recovered or going to landfill can leave you exposed. Damien Wigley, General Manager, Equilibrium, explains the company offers a step-wise service to the waste industry which can help alleviate downstream supply chain uncertainty and better track waste movements. To identify and generate downstream supply chain distribution networks, Damien says Equilibrium has used multiple platforms to inform the program and is currently considering the application of blockchain for such purposes. “A comprehensive process is required to clearly understand the movement of waste streams initially and it can vary depending on the type of materials and where (internationally) they are being sent to. “There may be some certification system that requires the tracking of materials and that information may be accessible by a product stewardship program or another voluntary scheme, but to understand the document trail and access it in a timely manner is complicated,” Damien says. An example of Equilibrium’s work is how it is assisting the Federal Government Department of the Environment and Energy and its administration of the National Television and Computer Recycling Scheme (NTCRS). Equilibrium helped the Department to develop a methodology to assess the material recovery rate of e-waste. “We had to look at places around the world to see how the material was being recycled and ensure it was consistent with the NTCRS and specific requirements under the Product Stewardship (Televisions and Computers) Regulations,” Nicholas says. He says it is not a straightforward process, potentially involving multiple parties who may not want to share information that they consider to be intellectual property. Equilibrium is on hand to assist clients in developing a tailored program that is relevant to the business and meets all requirements, both internal and external. You can download Equilibrium’s downstream assurance information sheet here. Originally published on 13 March 2018 in Waste Management online. Protecting the environment is a major area of activity for governments and business, particularly as we face complex pollution and waste management issues that can affect human health and sensitive ecosystems. The Victorian Government has been working systematically to modernise the Environment Protection Authority (EPA) in order to meet Victoria’s environment and human health challenges. The government response to the EPA Inquiry details the suite of reforms for the overall transformation of the EPA to a world class environmental regulator. It is important to note that these are the first major reforms since the EPA was formed in 1971. > EPA will protect Victorians’ health and their environment, preventing and reducing harmful effects of pollution and waste. > EPA will deliver efficient, proportionate and consistent regulation which is vital for economic prosperity by ensuring Victoria is an attractive place to invest, work, live and visit. In many respects, the reforms establish a stronger emphasis on preventing environmental harm and foreseeable hazards and risks. The process highlights the on-going need for businesses to identify compliance issues and risks and be ready to transition to new requirements in a timely and considered manner. The Victorian Environment Protection Act has now been updated and includes new provisions for governance arrangements. The reform agenda will also bring about significant changes as to how businesses and organisations will be regulated in regard to environmental risk. A key change is the introduction of a ‘General Duty’ that will be used to strengthen EPA capability to prevent environmental harm. The introduction of a General Duty will involve the use of ‘Codes of Practice’, an approach that is already widely used within Occupational Health and Safety (OHS) legislation and regulation. For example, in Victoria OHS Law and Code of Practice provides practical guidance on how to comply with relevant regulation. The VIC EPA now makes it clear that this approach provides a preferred model to apply in regard to environmental regulation in Victoria. Adherence to Codes of Practice will certainly involve sites that require EPA Licensing and Works Approvals. Beyond such sites, the VIC EPA is looking to create a register of businesses with activities that have a regulatory significance. Initially the register may be based on the dangerous goods notifications register managed by WorkSafe, which could involve up to 2,800 businesses. The EPA is also looking to register other businesses that have a potential higher risk profile, examples of which include dry cleaners, electroplaters, petrol stations and non-intensive agricultural businesses. The EPA has put in place a five-year strategy to implement the reform recommendations. Helping companies to be prepared and ready for the reforms is an essential part of the process. Equilibrium is well positioned to support businesses to assess and prepare for impending regulatory changes. Our depth of experience relating to environmental and OHS risk management is at the forefront when it comes to identifying and preventing harm to human health and the environment from pollution and waste. Equilibrium’s knowledge of risk analysis and developing risk management strategies is founded on working to meet compliance requirements of Environmental and OHS regulations across Australia. Our experience covers leading projects across Australia.